Amino Blast is a Branch Chain Amino Acid which contains Glutamine for building lean muscle and speeding up muscle recovery. 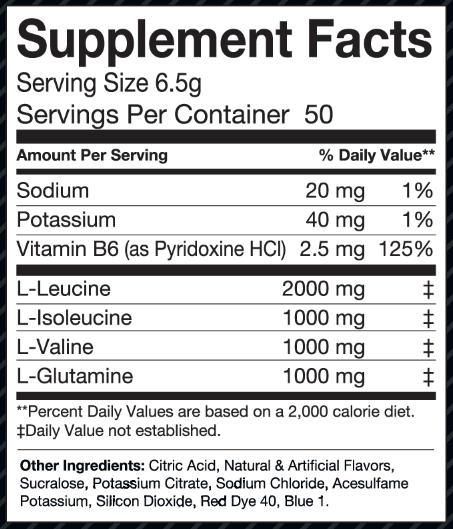 BCAAs are essential as the body is unable to make them out of other amino acids. This means that you have to ingest them through food or supplements. BCAAs trigger protein synthesis and assist with inhibiting the breakdown of muscle cells.